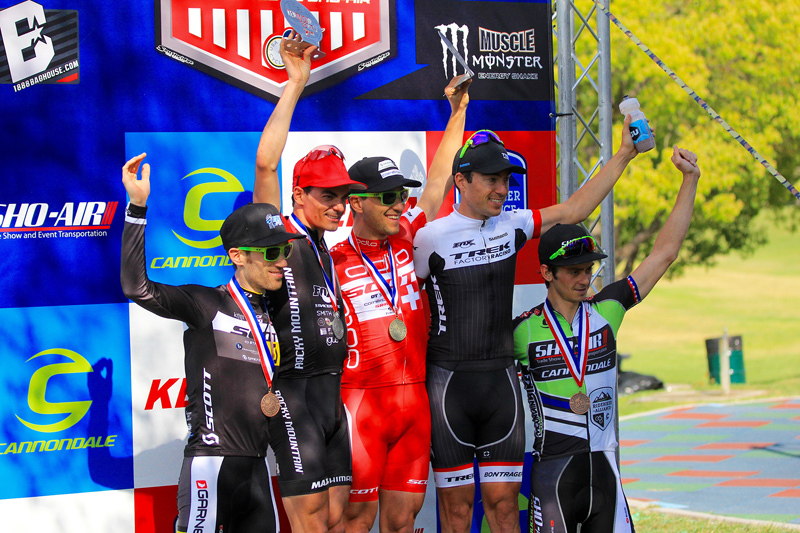 Round three of the USA Cycling US Cup presented by Cannondale was raced on a near-perfect Southern California day at Bonelli Park, and produced worthy winners in Emily Batty (Trek Factory Racing) and three-time World Champion Nino Schurter (Scott-Odlo). Luna Pro Cycling's Georgia Gould got the hole shot in the women's race, with Specialized's Lea Davison charging hard just behind. The women flew around the start loop and headed out for the first of six laps. 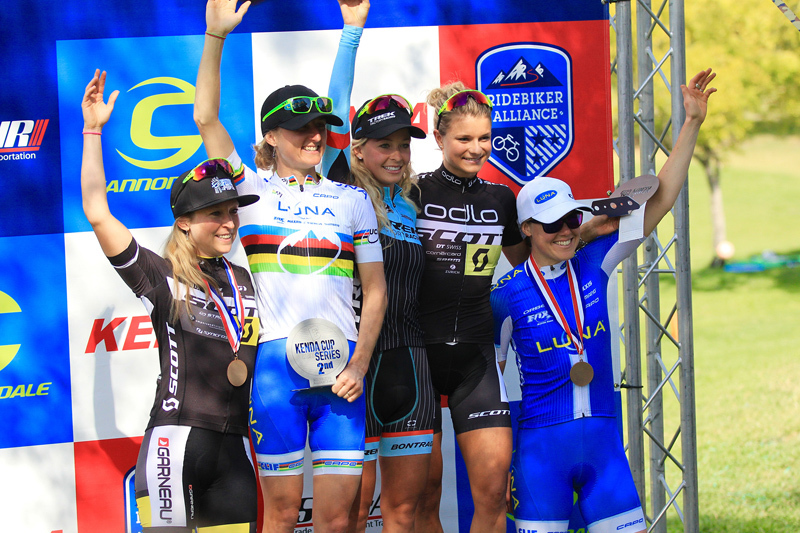 Scott-Odlo's Swedish National Champion Jenny Rissveds was first to attack and establish a commanding lead over the chasing group which contained the Luna Pro contingent of Gould, Katerina Nash and Catharine Pendrel, along with Emily Batty, Erin Huck (Scott 3Rox) and Larissa Connors (Ridebiker Alliance). By the second lap, with Rissveds still out front, the chase group began to come apart under the stress of an attacking Pendrel, who continued to apply pressure on the climbs. At this point the chasers were reduced to just Pendrel, Batty, Nash and Huck. Pendrel and Batty continued to attack, which put the others in trouble. Late in lap two, Pendrel put in another effort which brought Rissveds back at the start of lap three. Midway through the race, the front group was whittled down to just Pendrel, Batty and Huck, with the trio establishing a nice lead as they entered the infield loop at the end of lap three. Pressure on the climbs saw off Huck, as Pendrel and Batty built up a commanding lead that would last until lap five. The leaders sat up for a breath, which enabled Huck to come close to rejoining, followed again by Rissveds. Just as they were about to make contact, Pendrel put in another hard effort to build up another gap on Huck during the descent, Batty again on her wheel. 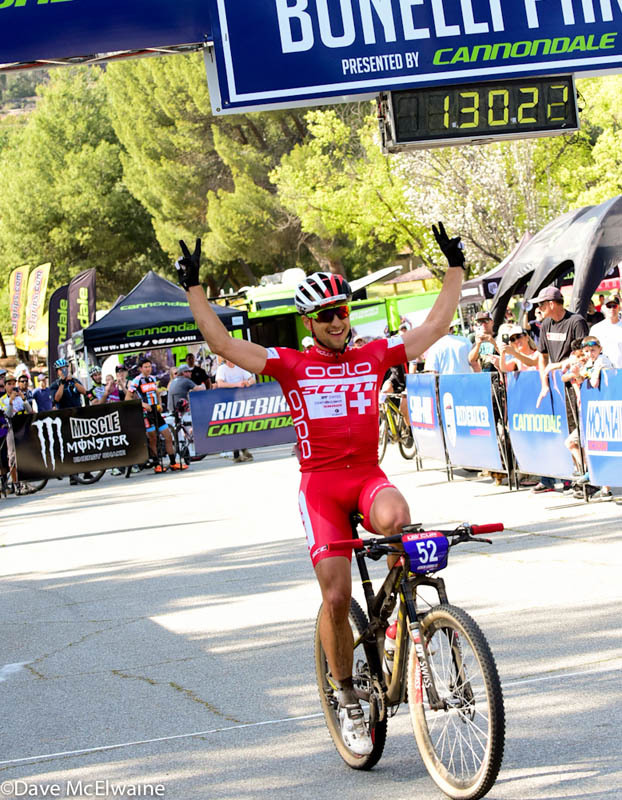 The two leaders seemed content to face off in a finish line sprint, where Batty made a crafty move just past the final left hand turn to come around Pendrel in a tight sprint for the win. Rissveds made it in for third, followed by Gould and Huck. "I've worked so hard leading up to this," said an thrilled Batty after the sprint. "Hats off to Catharine for not making it easy! I really just had fun with it, throwing the rhythm off and dictating how I wanted it to go. I threw an attack in the corner and left it all out there." Cannondale Factory Racing's Henrique Avancini continued the team's fast starts by taking the early lead after the start lap of the men's race. Three-time World Champion Nino Schurter then took over, standing up and attacking on the first pass of the steep gravel climb. Only New Zealander Sam Gaze was able to match the Swiss Champion. Stephen Ettinger (Sho-Air/Cannondale), Raphael Gagne (Rocky Mountain Bicycles) and Sergio Mantecon (Trek Factory Racing) made up the early chase group, with Gaze dropping back to join and then getting dropped. The race settled into this situation for the next few laps, with Schurter maintaining and even extending his lead up to a maximum of thirty seconds. By the end of the fourth lap of seven, Mantecon and Gagne began to work together and slowly pull back Schurter's lead. The chase worked and the chasers made contact on lap five after Schurter stopped to change a rear flat. Unfortunately for Mantecon and Gagne, Schurter capitalized on the extra effort spent in the chase and pulled away with ease toward the start of the penultimate lap. Tired from the chase, Mantecon and Gagne fought hard to keep the Swiss Champion in their sights, only to see Schurter take the win just in front of them. "It was a super tough course out there," said Schurter at the finish. "You have to be really careful in cornering. One mistake and you're crashing. I like the shorter climbs so it was a perfect course for me." 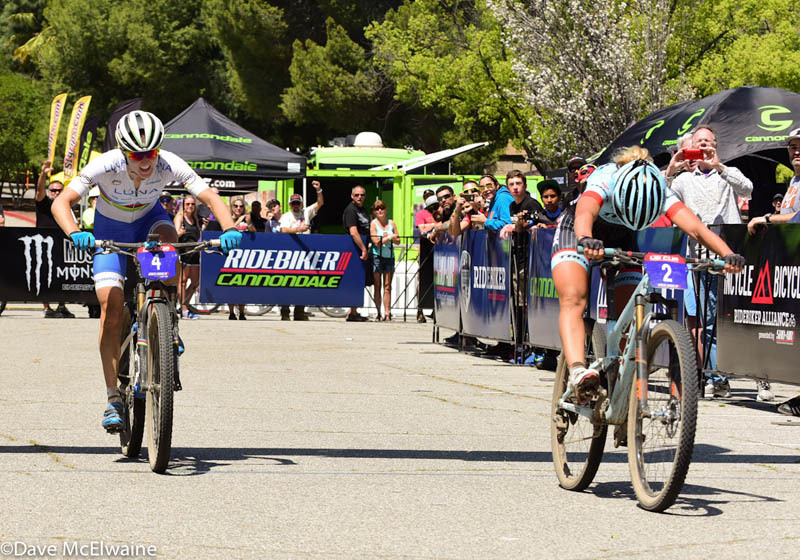 After round three of the USA Cycling US Cup presented by Cannondale, Gagne takes over the men's lead convincingly with 104 points to Mantecon's 83, while Batty retakes the lead in the women's series with 114 points, 19 ahead of Pendrel.